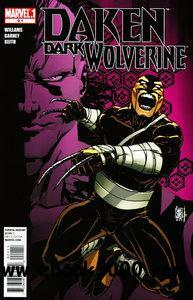 The next Point One in the bunch is Daken: Dark Wolverine #9.1. I have to admit, this is one I was very unsure of because I have never been a fan of this character. I was surprised that I enjoyed this Point One. To be honest, this character just doesn't appeal to me. However, this issue serves as a great reboot for Daken's direction, even though he is still a criminal. As the series shifts directions and locations, it will be a brand new start for Daken and fans. This was also a good issue for a look at the Avengers, even better than their Point One issue. I liked the bit of interaction between Daken and Wolverine. They have a difficult relationship, but you can see that they both care about each other. This issue was a great one for jumping into this series. With Daken deciding to put his past behind him and take on his own challenges, this will be a great time to start reading.